Fiesta San Antonio began in 1891 and through the twentieth century expanded from a single parade to over two hundred events spanning a ten-day period. 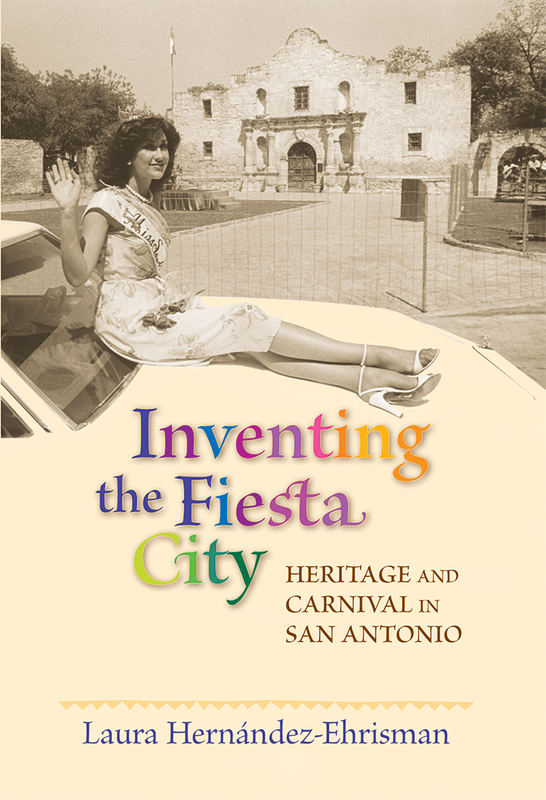 In Inventing the Fiesta City, Laura Hernández-Ehrisman examines Fiesta’s development as part of San Antonio’s culture of power relations between men and women, Anglos and Mexicanos. In some ways Fiesta resembles hundreds of urban celebrations across the country, but San Antonio offers a unique fusion of Southern, Western, and Mexican cultures that articulates a distinct community identity. From its beginning as a celebration of a new social order in San Antonio controlled by a German and Anglo elite to the citywide spectacle of today, Hernández-Ehrisman traces the connections between Fiesta and the construction of the city’s tourist industry and social change in San Antonio. Laura Hernández-Ehrisman is an assistant professor at St. Edward’s University in Austin, Texas.